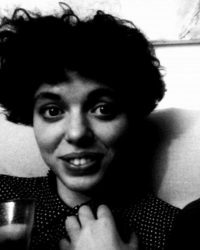 Giulia Napolitano is a Ph.D. candidate at the Cologne Centre for Contemporary Epistemology and the Kantian Tradition (CONCEPT) at the University of Cologne. Her main research interest is in social epistemology, particularly philosophical problems to do with testimony, disagreement, expertise, and epistemic authority. She is currently working on the topic of conspiracy theories, trying to formulate a definition of conspiracy theories and to explain the precise nature of their irrationality. Before joining CONCEPT, Giulia was a research Master’s student at Utrecht University, and studied at the University of Padua.